FreeMax Starre Pure is a sub-ohm ceramic tank, which features top filling & top airflow design, Teflon drip tip port, Japanese Organic Cotton and long life-span coil. The Starre Pure brings pure flavor to you. Black and silver color. 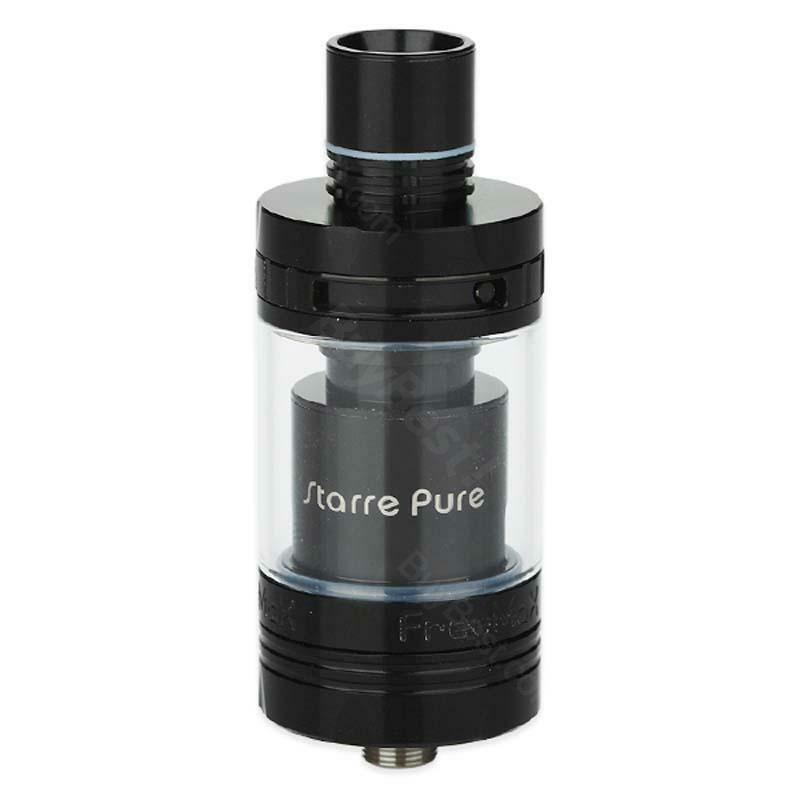 Freemax Starre Pure Ceramic Tank is an innovative sub-ohm tank with many great features - Teflon drip tip port, top filling & top airflow design and long life-span coil. Applied ceramic cover coil with original Japanese organic cotton, Starre pure will keep bringing almost up to 100% pure tastes of e-juice. With top into airflow holes, it makes vape very smoothly and could cool down the temperature of the vapor. Black and silver color. • It doesn't include e-juice. You need buy it separately. Habe mir FreeMax Starre Ceramic gekauft bzw. bestellt und bin äußerst zufrieden damit. Bestellung lief ohne Probleme ab und Vetsand war auch sehr raschönach österreich.Das PreisLeistungsverhältnis is echt spitze. FreeMax is the latest popular e-cig brand, and this Starre Ceramic Tank is also very hot now, so I bought one. Wow, really good product! !